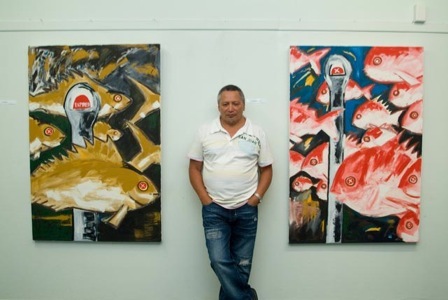 Donn (Ngāi Tūhoe) is a sculptor and painter based in Hamilton. Donn’s sculptural work illustrated here drew from the Tūhoe haka, Te Pūru—the bull being a metaphor in the haka used to belittle invaders. This haka was composed in 1864 as a Tūhoe response to the encroachment of the colonial invasion by the British Empire. 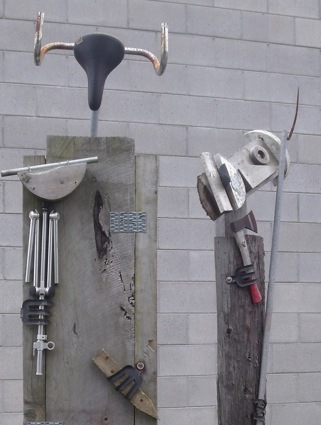 The works represent the invaders and kūpapa.